We are absolutely Disney people. My boys are being raised on Mickey Mouse Clubhouse and Jake and the Neverland Pirates, they’ve ridden It’s a small world probably over a hundred times, and Harrison asked if we could invite Donald Duck and Stitch to his 4th birthday party. Yet two years ago, we invested in Universal Studios Annual Passes. The main reason for this was that I am a HUGE Harry Potter fan, and was itching to finally see the incredible Wizarding World of Harry Potter. But we figured we’d take Harrison (who was two at the time) along with us to see if there was anything for him to do. 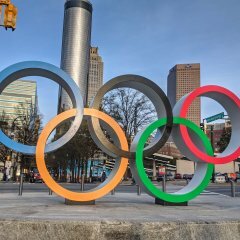 Universal Studios has a bit of a reputation as being for older kids, teenagers, and adults, with very little for young kids to do. 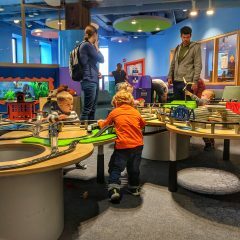 I know my friends talk about coming to Orlando and say things like, “we’ll skip Universal because there’s nothing for the kids.” What we found was the complete opposite: there is TONS of stuff for little kids to do! 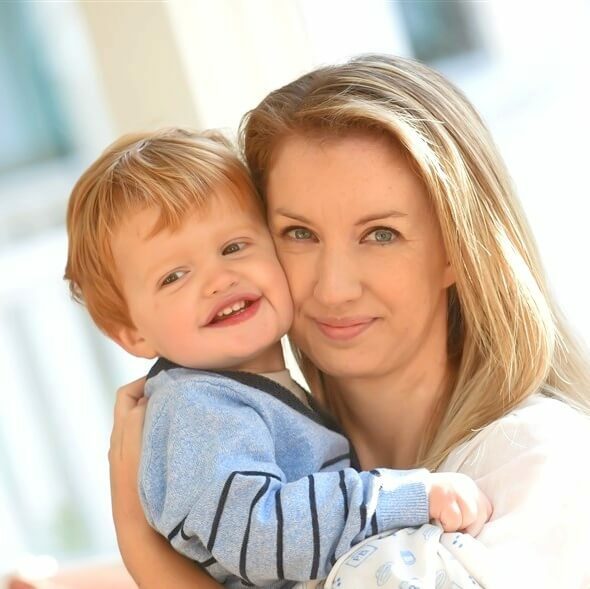 While there are definitely a lot more thrill rides for adults, there are whole areas dedicated to little ones, and Harrison fell in love with the parks. Take a look at my list of 10 fun things to do when visiting Universal Studios Orlando with a toddler, and which park you can find the attractions in – and then check out my free printable take-along list of toddler-friendly rides and playgrounds! 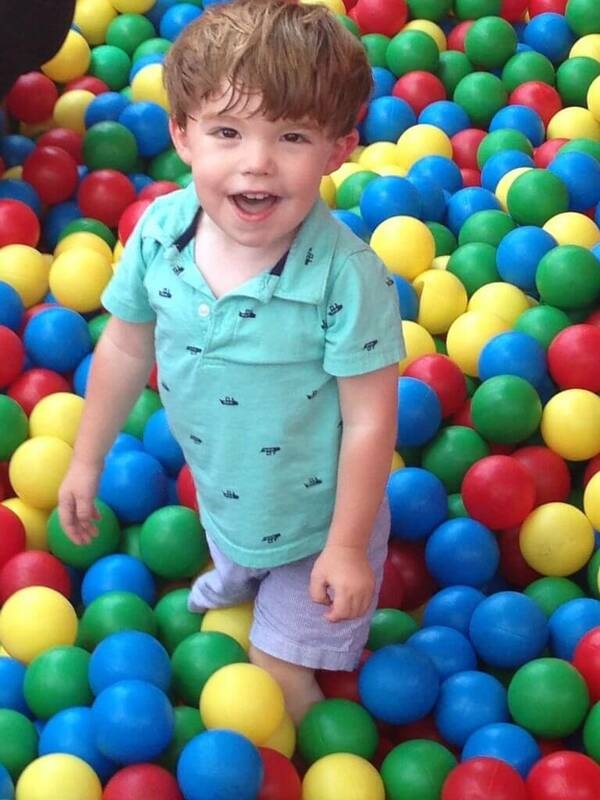 Seriously, this is the first place you should go with any kid under the age of 3! Bringing the incredible stories of Dr. Seuss to life, it is absolutely made for little kids! The colors in the area are so bright you might need to shield your eyes, but your little one will love it. The best rides for toddlers are the Caro-Seuss-el and One Fish, Two Fish, Red Fish, Blue Fish. Neither have any kind of a height limit, and both are gentle enough that you could even ride with an infant. The Cat in the Hat ride is a super fun spinning ride, but it does come with a 36 inch height restriction. As well as the fun rides, Seuss Landing has a great interactive water playground called If I Ran the Zoo, where little ones can go down slides, explore tunnels, and of course, get soaking wet in a great big splash pad. When Harrison was a toddler, he could happily have spent all day in this section of the park, and honestly it’s so fun that we love it too! P.S. If you visit at Christmas, check out the How the Grinch Stole Christmas show, it’s incredibly well done. 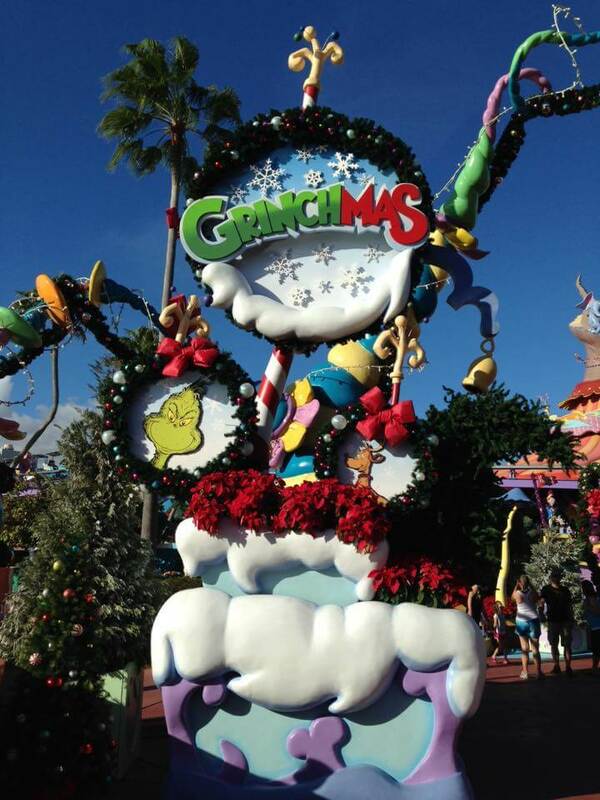 Read through this post for more information on visiting Universal Studios Orlando at Christmas. In the back right hand corner of the Universal Studios Park, there is a whole area for kids to run wild and have fun. Most kids just love to get wet and the Curious George Goes to Town water playground is so perfect for this! It is a huge area with fountains and jets and everything little ones need to get absolutely soaked – and I do mean SOAKED! 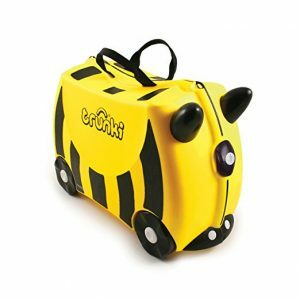 Your little one will come out of this looking like they’ve jumped into a pool, so make sure you have a change of clothes in your bag! It can get super hot in the parks in the middle of summer, and this is a great way to cool off and have fun. Despicable Me is one of those kids movies that appeals to adults too, and perhaps because of that, the line for this ride can be crazy long (think over an hour within minutes of park opening!) 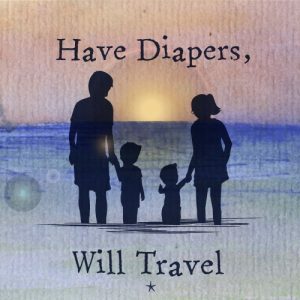 However if you’re riding with a toddler, you can skip that line! The actual ride is a 3D motion simulator and has a height restriction of 40 inches, but there are stationary seats at the front of the simulator that have no height restriction, and you can sit here with a kid under 40 inches. The best thing about these seats is that there is usually a separate line for them, and it’s usually less than 10 minutes long! Universal Team Members will only typically open this separate line up if the regular line is on the longer side, but if the line isn’t open, it’s worth checking back at a later time to see if it has opened up. This really is a great way for a toddler to experience the ride without having to wait in a long line, and be sure to check out the Minions dance party at the end of the ride! In the same area as the Curious George Goes to Town water playground is Fievel’s Playland. Remember Fievel, the cute little mouse from An American Tail? Well, he has his own playground where everything is larger than life, as if seen from a mouses-eye view! There are play structures, a bounce house, a ball pit, and best of all, a 200-foot water slide! An actual water slide, in the middle of the park, which is so much fun! You sit in a raft and go down the slide in shallow water, so you won’t get soaking wet, just a little bit splashed, but my little one thought it was just so cool to go down a water slide in his clothes! Parts of the playground are reserved for little kids with height restrictions in place, which is great because you can let your little one explore without worrying that they’ll be trampled by bigger kids running over them. There are definitely parts of the playground where your kids might get wet, so it’s a good idea to have a spare set of clothes handy for when they come out. The Hogwarts Express is one of those theme park experiences that is totally unique. 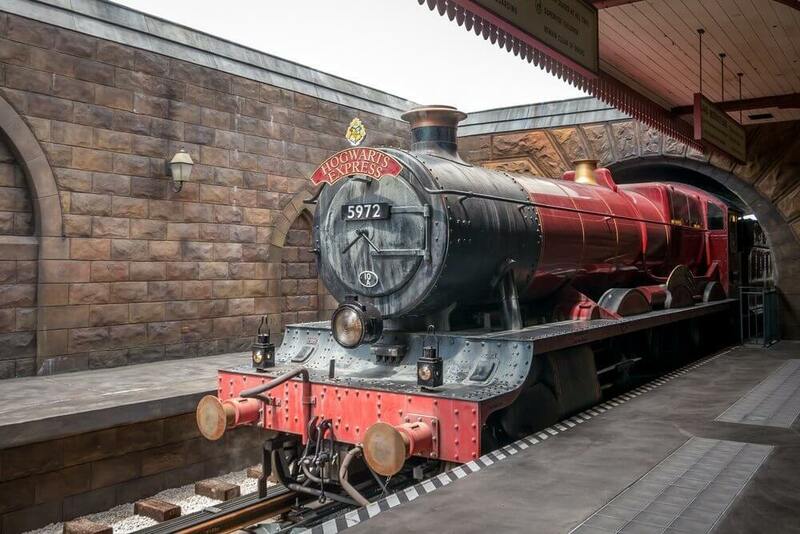 You board an actual steam train from a station at either Diagon Alley (at the Universal Studios Park) or Hogsmeade (at Islands of Adventure) and watch through the windows as the scenery passes you by! Of course you’re not really moving that far (although the trains do act as transportation from one park to the other), and you’re really watching high-definition monitors to make it look like you’re traveling either to or from Hogwarts. Depending on which park you start at, you get a different experience, so be sure to take both trips – and note that you’ll need a 2-park hopper ticket to experience the train ride since it takes you to the other park. Harrison is a huge fan of trains, and probably would have been happy just being on a train without the awesome effects, but watching the scenes pass by really held his attention for the whole trip. I won’t spoil any more of the ride for you, but it’s something that you should absolutely make time for on your trip. Although I am a crazy Harry Potter fan, I’ve yet to introduce the books to my kids. I really thought the first time we visited the Wizarding World of Harry Potter that I’d be the only one fascinated – but I’d forgotten there was a dragon! Oh my goodness, Harrison loves this dragon so much! From the first visit when he was only just two-years old, he has been obsessed with this thing! 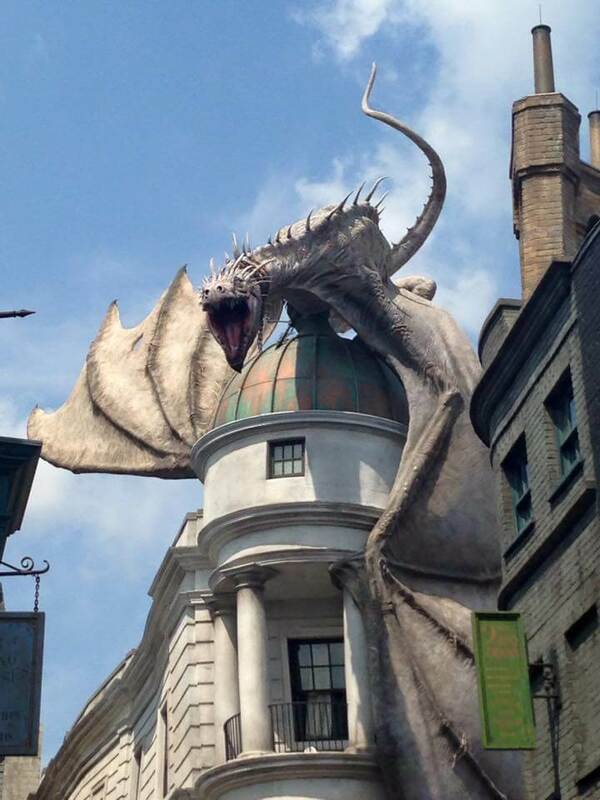 The dragon can be found atop Gringotts Bank at the end of Diagon Alley, you really can’t miss it when you walk in. When asked, the Universal Team Members will tell you that when the dragon breathes fire is up to the dragon, but we found it to be about every 15 minutes, and it is truly amazing when it happens! We’ve spent hours sitting in Diagon Alley with a frozen butterbeer, just waiting for the dragon to breathe fire! A word of caution though: I’ve seen some little ones spooked by the dragon, so I would suggest maybe looking it up on YouTube before you go to gauge whether or not your little one will love it or hate it. If you want to spend a bit more time exploring all things Harry Potter, then take a look at my Complete one day itinerary for The Wizarding World of Harry Potter. Are all little boys dinosaur obsessed, or is it just mine?! On our first trip to Islands of Adventure I glanced over the map and when I saw the playground at Camp Jurassic, I knew my little one would love it! This is a huge playground where your toddler can run and jump and climb as you run along behind them wondering where they get their energy. The best part is the set of giant dinosaur footprints that make roaring noises when you jump on them! This area definitely gets hot and busy during the middle of the day, but early in the morning or near park close, it’s a fantastic area to let the little ones let off some steam. Even though Disney now owns the Marvel franchise, contract regulations mean they cannot incorporate the Marvel characters into their parks in the form of rides or characters. This means that Marvel Super Hero Island at Islands of Adventure is where you will want to be to meet all your favorite Marvel characters. 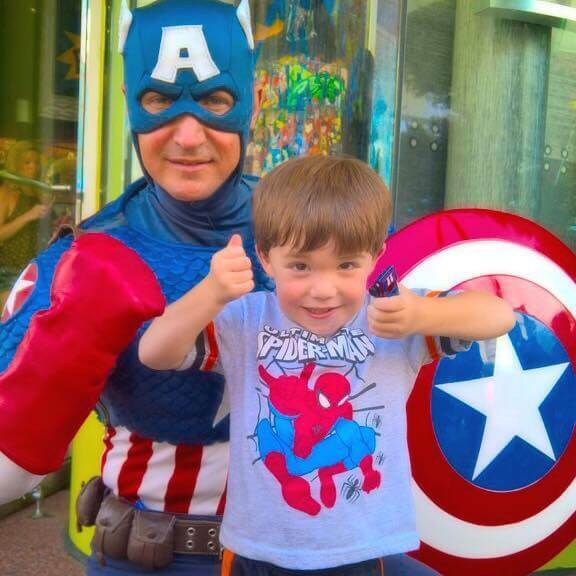 While most of the rides here have bigger height restrictions and there’s not a whole lot for little ones to do, we always head over there so Harrison can meet his heroes, Spider-Man and Captain America! A park map will tell you what time the characters are meeting during the day, and exactly where you can find them; my little one was so starstruck upon meeting Spider-Man that he literally said nothing, just stared at him! 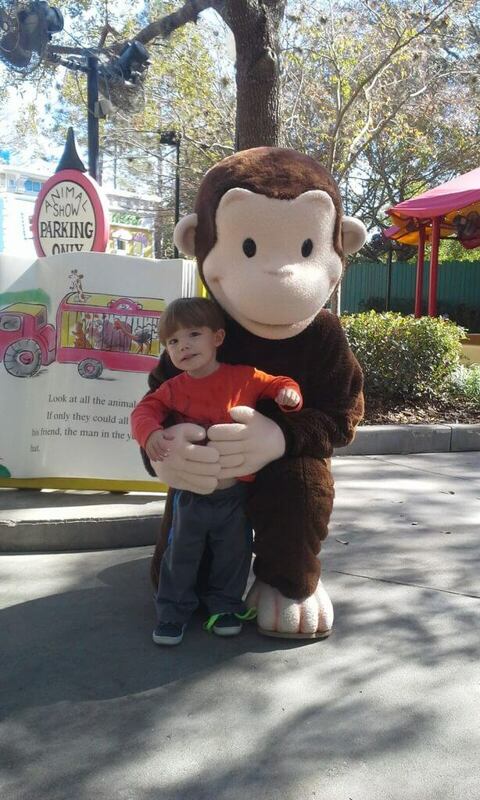 There are also other characters roaming the parks that your little one might like to meet: SpongeBob, Curious George, and Woody Woodpecker are usually a hit with toddlers. 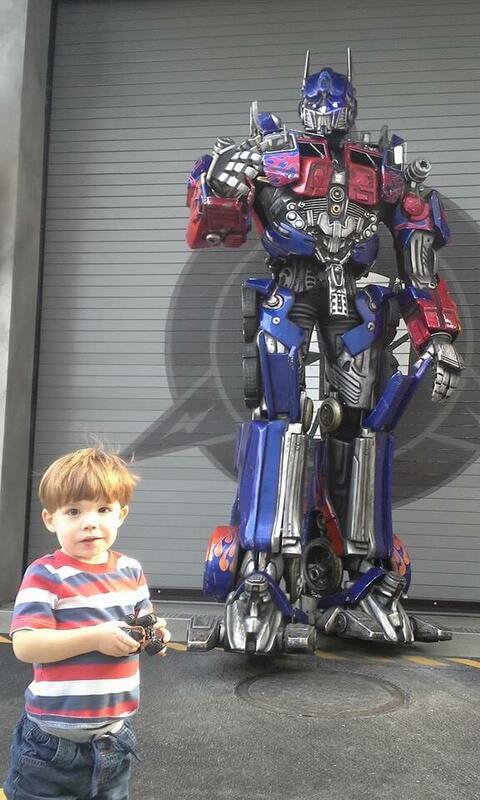 I’ve never seen a Transformers movie, and haven’t even been on the Transformers ride at the Universal Studios Park. But pretty much every time we’ve been to the park, we’ve met a Transformer! Optimus Prime, Bumblebee and Megatron are all available to meet on a rotating basis outside of the Transformers 3D attraction, and this is a super cool thing to do! The Transformers interact with you, and are genuinely impressive to stand next to! The line to meet them is usually pretty short, and it’s totally worth the wait to get to see them. This is our very favorite thing to do at either of the Universal theme parks. In Seuss Landing, there is a show called Oh the Stories You’ll Hear. This show is a reading of one of the Dr. Seuss stories, complete with some of your favorite Dr. Seuss characters. There’s singing and dancing, and you get to see one of the fantastic stories come to life. Dr. Seuss is one of our favorite authors to read to the kids since his stories have such great messages behind them, and seeing them on stage with all the characters is a great experience. After the show, there is a meet and greet opportunity with some of the characters, including the Cat in the Hat, Thing 1 and Thing 2, The Grinch, The Lorax, and Sam I Am (from Green Eggs and Ham). A cute idea is to take along your favorite Dr. Seuss book – or buy one from the book shop in Seuss Landing – and have the character sign it! We’ve seen this show so many time that the narrator knows Harrison by name, but we’ve never gotten bored of it. 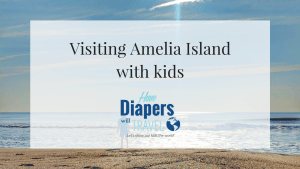 It’s an experience that I think could easily be overlooked when trying to cram everything into a trip, but if you have kids, I would really recommend trying to make time for it. So there you go! 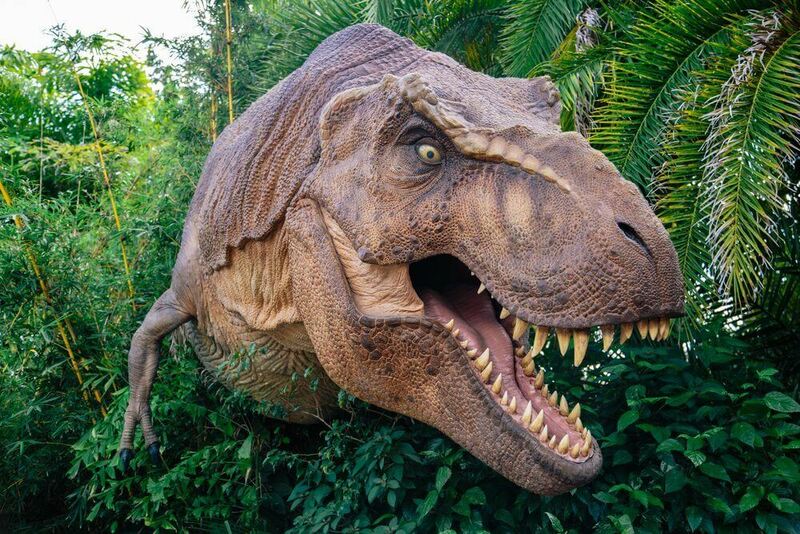 Some super fun things to do when visiting Universal Studios Orlando with a toddler. Below I’ve created a FREE printable for you to take along on your next trip with a list of the best rides and playgrounds for toddlers and any height restrictions. Download it HERE or just click the image below. 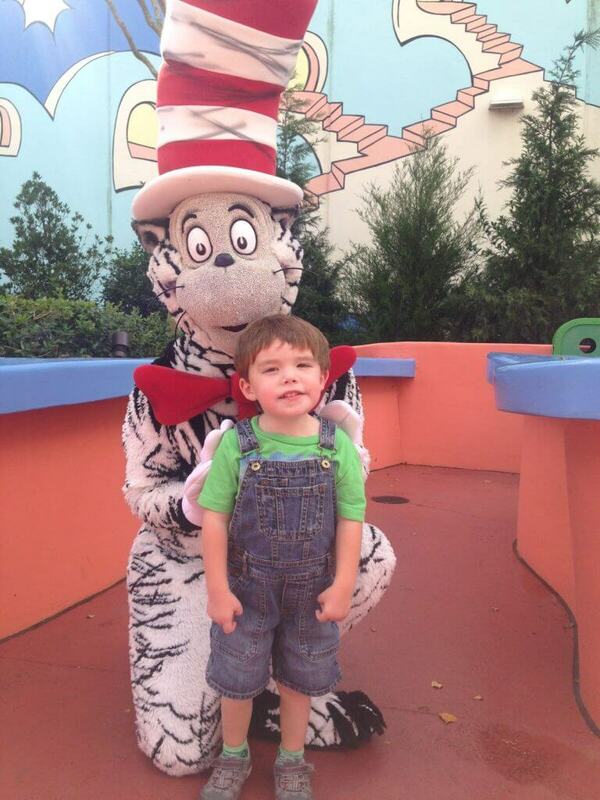 If you’ve taken a toddler to the Universal Studios theme parks, I’d love to hear your experiences! What was their favorite thing to do? Leave a comment and let me know! 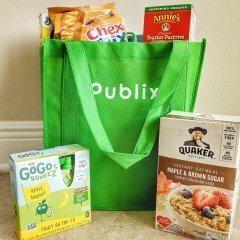 This is such a great guide! 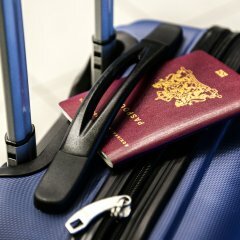 We are planning a family vacation for the summer and have been tossing around so many places! 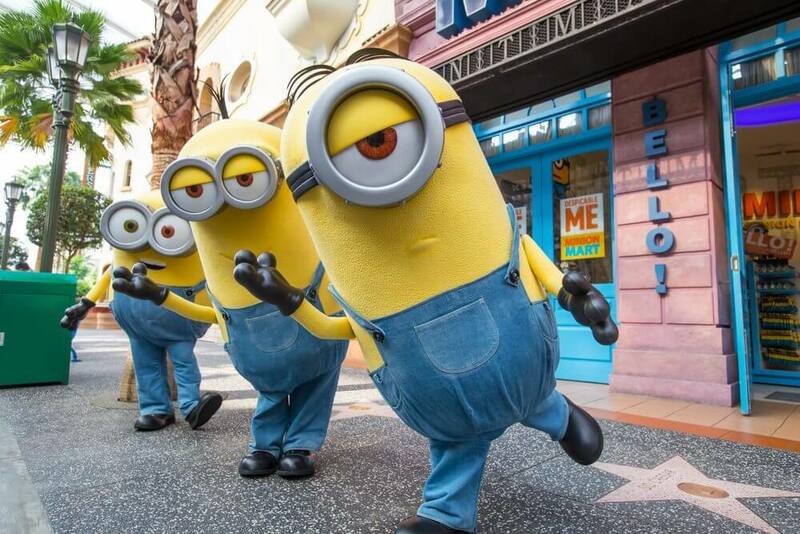 I’ve never been to Universal Studios in FL (only CA when I was a kid), but it looks crazy fun! Thank you! I think Universal has a reputation as being for older kids only, and somewhere with more thrill rides, but it’s such a great places for young kids too! I still haven’t been to Universal Studios Hollywood, I definitely want to go at some point. 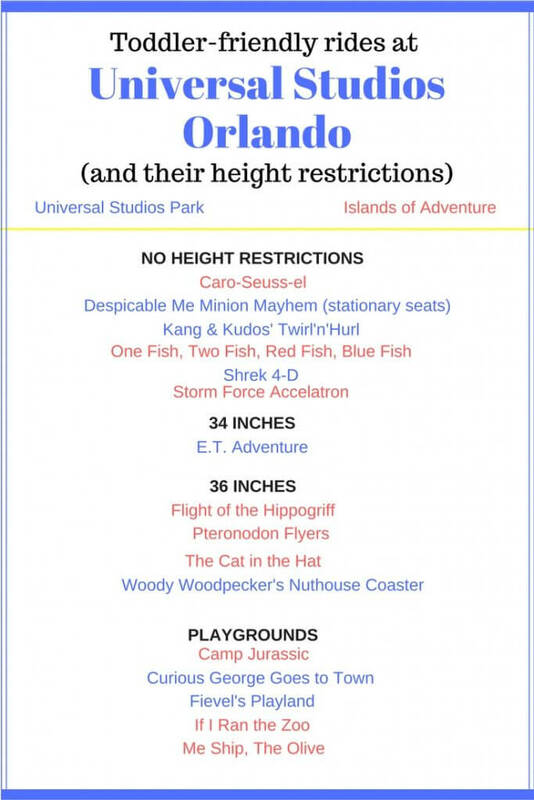 My 2 year old twins are obsessed with Barney and I thought there was a part of Universal that showcased Barney but not seeing it on this list concerns me! We are heading to universal in December 2017. Any info? Don’t worry, Barney is still there, he just didn’t make my list! He still has a show there, A Day in the Park with Barney, and it shows multiple times a day; if your kids love Barney, they will love this show, it’s a lot of fun. My kids just don’t really watch Barney so they’ve never been interested in the show, and there’s so much fun stuff to do, we’ve never managed to fit it in. But you should definitely make it a priority if you think your kids will love it, and I’d love to hear more about it once you get back!